We love the way rubber stamps look on paper or fabric. They add a great vintage look and you can find ink pads in every color! 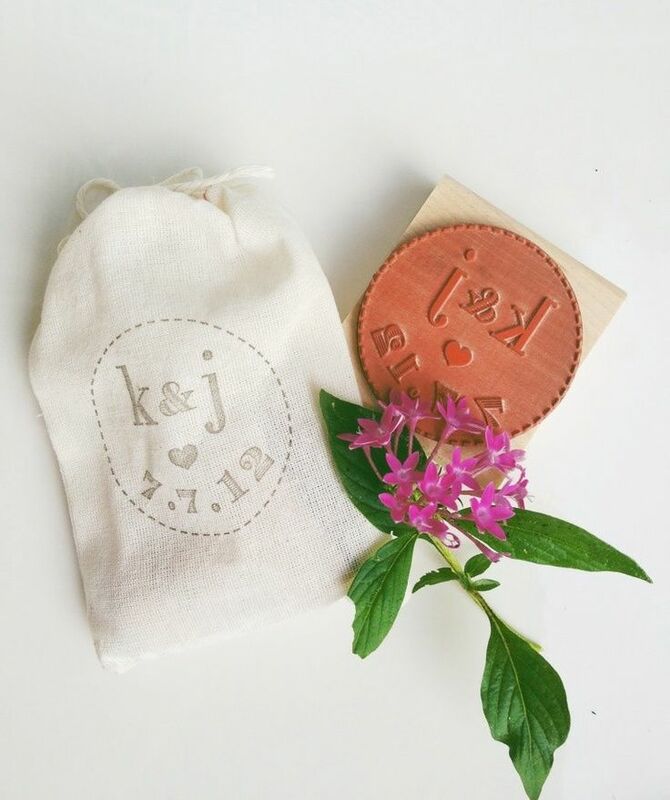 Here are 5 ways you can incorporate rubber stamps into your wedding. 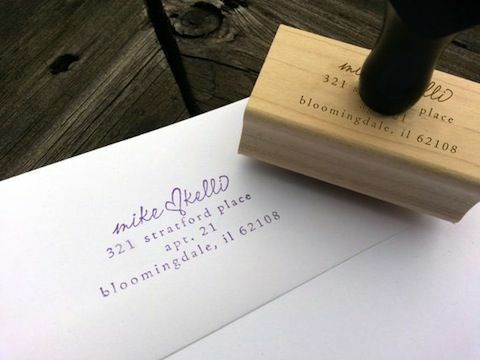 Have a stamp made with your return address for your save the dates, invitations, thank you notes and more. This stamp will always come in handy for future letters too! 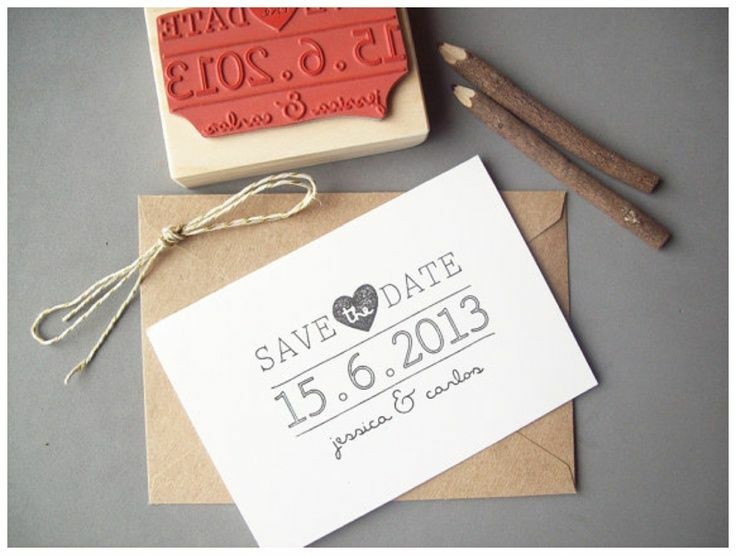 You can have your entire save the date created on a rubber stamp. Stamp them on cardstock, printed paper or postcards for a simple way to announce your wedding date to your guests. 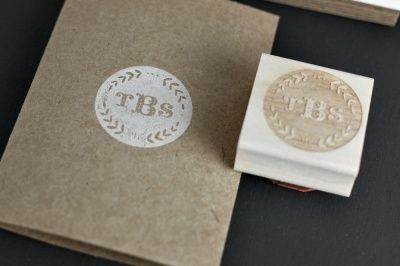 Have your wedding monogram and the date created on a stamp and put it on your wedding favor packaging. From bags and boxes to fabric bags and envelopes, your stamp will work on so many surfaces! You can have a stamp created that says "thank you" with your names or new last name. 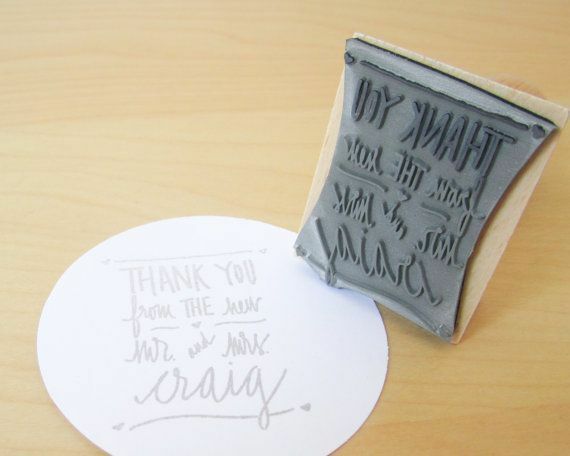 These are perfect to make simple thank you notes by just stamping on the front of blank note cards! Are you having a custom monogram or logo created for your wedding? Make sure to put it on a stamp and then use it everywhere and anywhere! On thank you notes, envelopes, favors, programs, menus and more, your logo can quickly and easily go on every part of your wedding.